PEBBLE BEACH, Calif., August 18, 2011 – Lexus today unveiled the all-new GS 350 at a press conference in conjunction with the Pebble Beach Concours d’Elegance. 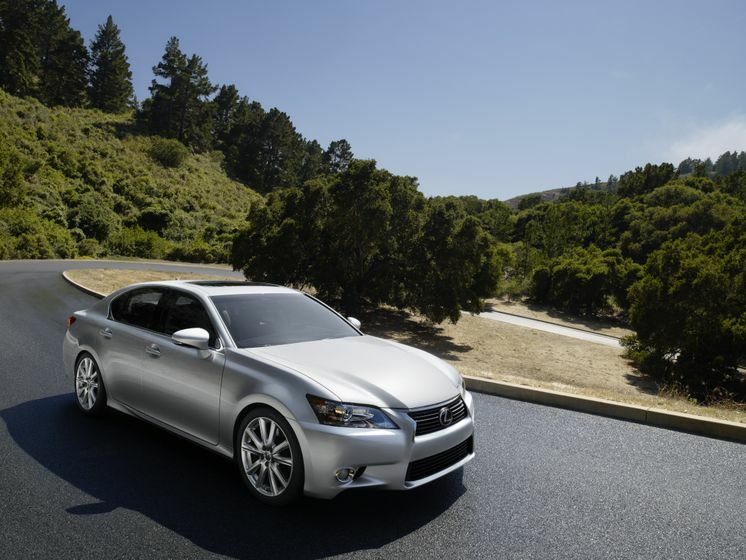 The new 2013 GS combines bold, dynamic styling, precise handling, innovative technology, and a spacious interior. 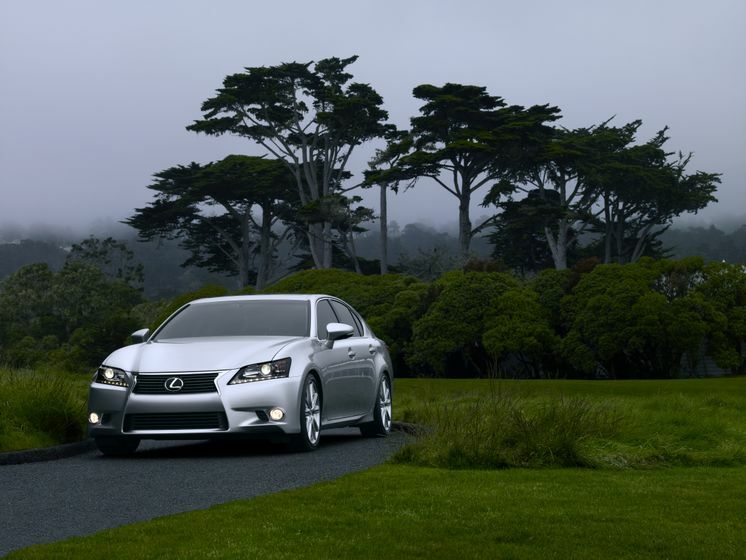 In addition to the GS 350, the 2013 GS 350 hybrid model and an available F-Sport package will be launched in early 2012 with further details to follow later this year. “Canadian drivers in the mid-size luxury segment want a vehicle that makes a statement, said Larry Hutchinson, Director of Lexus in Canada. “With world class features, performance enhancing technology and a more engaging driving experience, the all-new GS delivers”. Along with a new Lexus signature spindle grille, the GS is a car that conveys a tangible sense of driver confidence, with a redesigned chassis and a wide, strong stance that inspires and rewards driver participation with crisp and precise handling. GS engineers challenged themselves to develop a more spacious interior environment. While leaving exterior dimensions virtually unchanged, they dramatically increased cabin and trunk space to create an interior that can easily transport passengers and their luggage in comfort and style regardless of distance. Richly endowed with world-class features and premium details, the new GS is supported by advanced, performance-enhancing technology that makes it more than just a luxury car. The driver and front passenger will enjoy the clean appearance of the new high-resolution central control display. 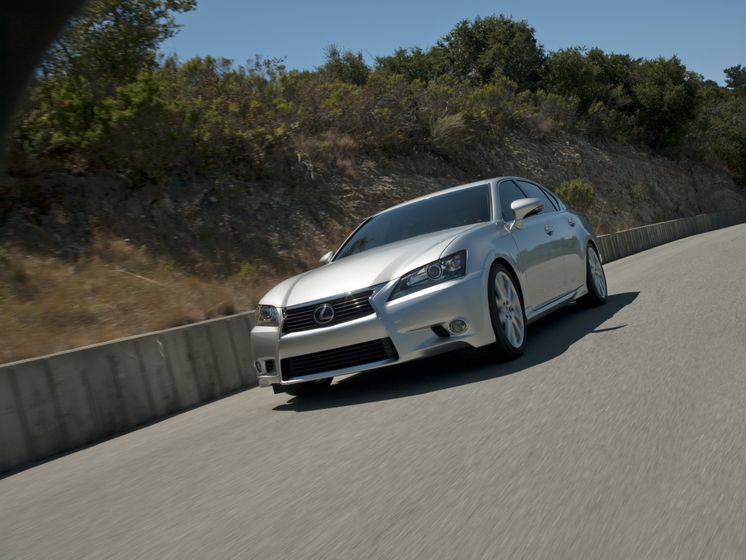 Designing the new GS 350 to be both strong and agile was a key focus of the engineering team. They looked to the Lexus LFA supercar for inspiration and carried over some key elements to provide a more engaging driving experience, including a new aerodynamic body; a completely new platform with a wider stance and stiffer structure; a transmission with quicker shifts; distinctive engine sound and exhaust notes; and better seat support. The new platform is more rigid compared to the current model. Engineers conducted extensive platform testing, ultimately increasing the number of spot welds and adding laser welds in very specific locations. The track, wider by almost two inches, works in combination with a revised suspension design to assure a more solid stance and superior cornering performance. The use of front and rear aluminum control arms helps reduce unsprung weight and results in significant improvements in agility, roll damping, ride comfort, body control and steering precision. Overall, the suspension is lighter and stronger, allowing it to react to driver input readily, and ride quietly without harshness. Ventilated disc brakes featuring four-piston aluminum front calipers are endowed with the latest electronic enhancements to help provide braking balance and control. The new GS is powered by an advanced 3.5-litre V6, four cams, and four valves per cylinder with dual Variable Valve Timing with intelligence (VVT-i). At 306 horsepower, it is one of the most powerful base engines in the segment, as well as the only one with both direct and sequential injection. 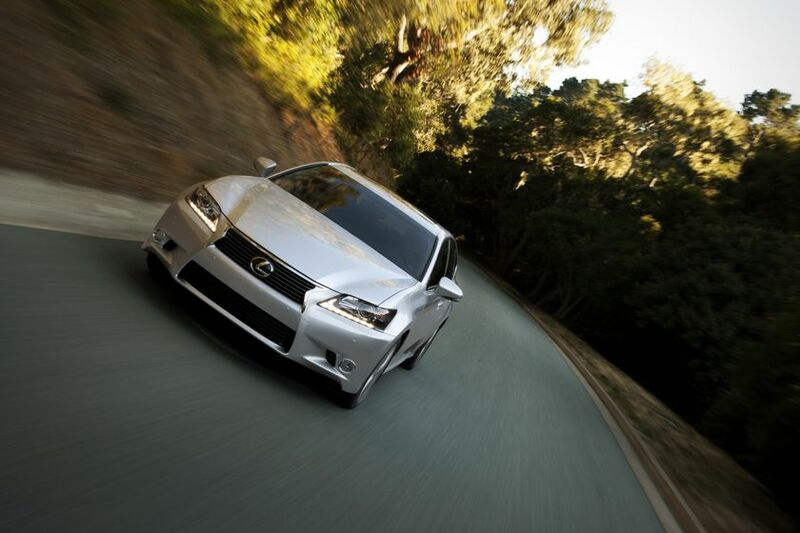 It propels the GS from approximately 0-100 km/h in 5.7 seconds and at the same time, fuel economy has been improved. Acceleration from 50 to 80 km/h can take approximately 3.0 seconds, and improved engine sound characteristics complement the bolder, more energetic personality of the new GS. The six-speed sequential shift automatic transmission has paddle shifters and sport driving functions as standard equipment. ECO mode revises throttle mapping, seat heating, and climate control systems for better fuel economy. In ECO mode, meter lighting changes to blue. SPORT S mode revises throttle mapping and transmission shifting priorities to fully exploit the capabilities of the powertrain. In SPORT S mode, meter lighting changes to red. SPORT S+ mode engages handling enhancements via a sport setting of the adaptive variable suspension, steering system, and vehicle stability control (VSC) together with the powertrain enhancements of SPORT S mode. An optional electronically controlled all-wheel-drive system is designed to enhance traction in a variety of driving conditions. The system can vary front-to-rear torque balance from 50/50 to as much as 30/70, depending on driving conditions, for exceptional control. 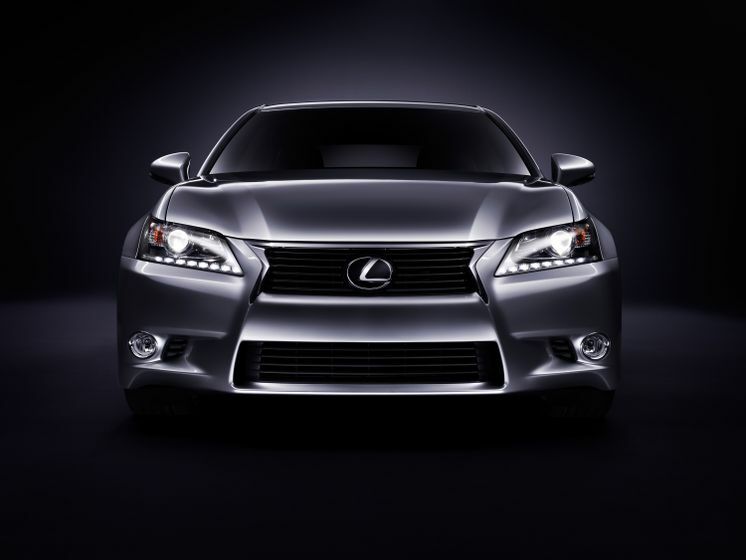 The 2013 GS expresses a new generation of Lexus’ design philosophy with its precisely sculpted exterior and will lead the rest of the lineup in an entirely new direction. When designers shaped the GS they visualized the flow of air around it and, like the LFA supercar, maximized aerodynamic efficiency for class-leading coefficient of drag. 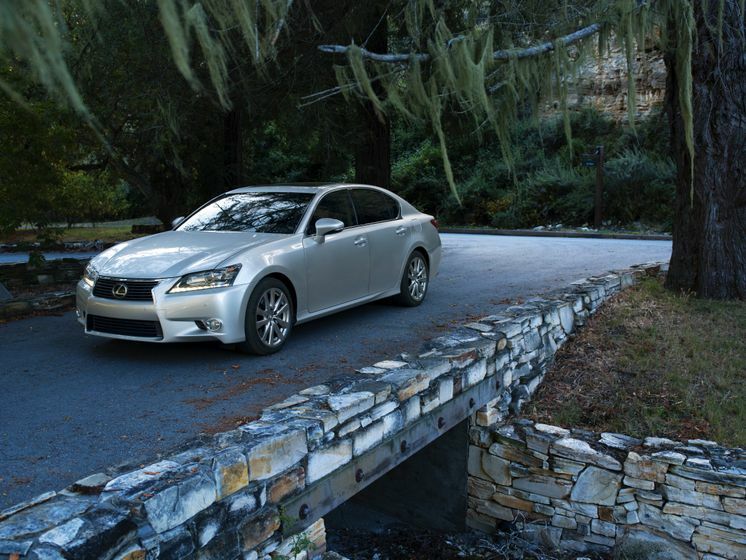 The GS fuses distinctive style with engineering functionality. Fins incorporated into the side of the tail lamps and the design of the trunk area all help direct air over and past the car. The rear bumper underbody area was designed for reduced wind resistance to help keep the car firmly planted on the ground. Finally, air inlets located on the outer edges of the lower grille serve as cooling ducts. The signature spindle grille with its trapezoidal contours evolved from current Lexus styling and fully integrates into the aggressive front bumper allowing for efficient airflow. This distinctive Lexus design feature combined with the deep-set, high-tech headlamps and L-shaped LED daytime running lamps further express the vehicle’s confident and dynamic character. The headlamps use a projector beam design, adding a strong, chiseled appearance and excellent illumination. 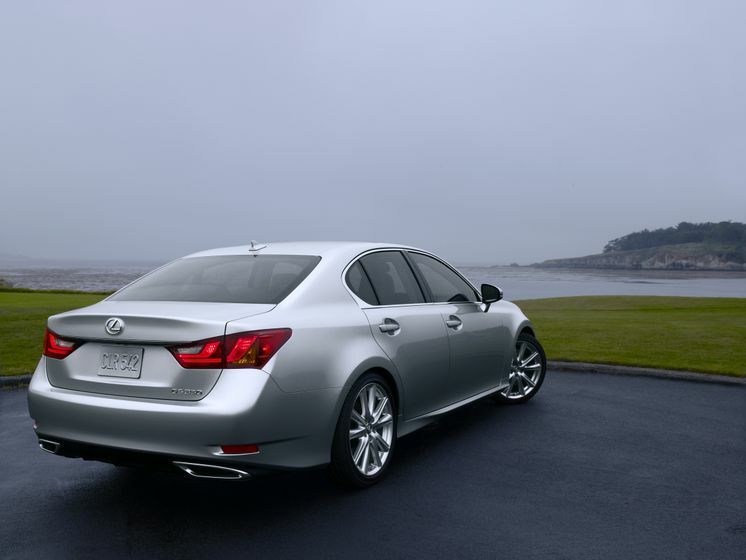 From the side, the GS projects the image of a spacious sport sedan with a road-hugging longer stance. The tapered lower rocker panel and the short front overhang give the vehicle a sense of motion. Width-enhancing front and rear wheel arches adds an athletic stance enhancing the vehicle’s dynamic presence. The rear bumper features distinctive exhaust diffusers and centered aero fins to help control underbody airflow. Combined with the L-shaped LED tail lamps, a Lexus design cue, these rear bumper features lend a high-performance appearance. Overall, the new GS sheet metal represents a significant extension of the Lexus L-finesse philosophy that is the core of all Lexus product design. The GS 350 will feature three colours that are new to the Lexus colour palette: Riviera Red, Meteor Blue Metallic and Liquid Platinum. Vehicles in Riviera Red will benefit from glass flakes incorporated into the coating that adds a high level of brilliance to the paint. 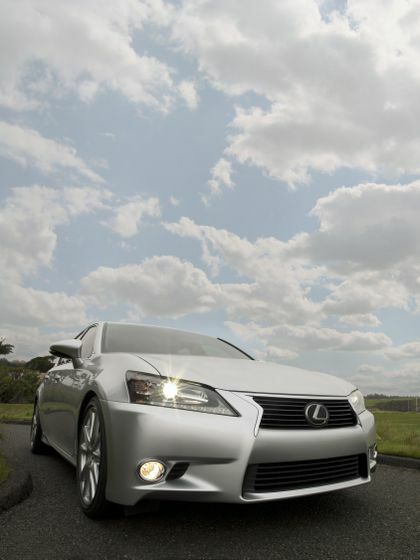 Lexus engineers developed a new advanced coating process for Liquid Platinum exteriors. 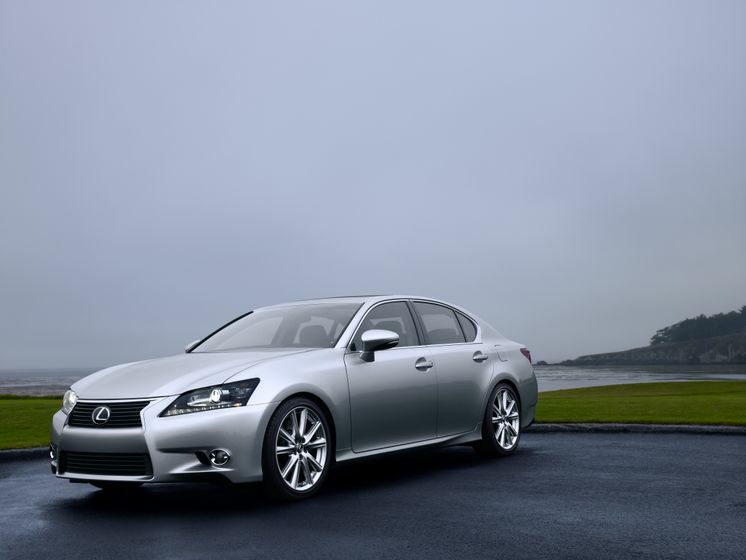 The GS 350 will be the first Lexus to adopt this new coating technology. Vehicles with the Liquid Platinum exterior will appear more radiant as an additional metallic texture gives both strong shading and defined, sharp highlights. This metallic effect makes subtle and defined bodylines more noticeable and the surface appear finely polished. 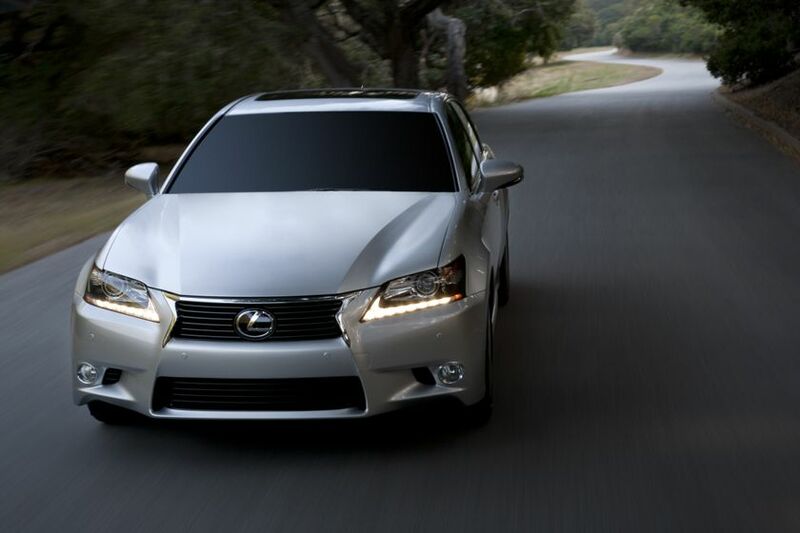 The GS provides more overall space for all occupants. With these changes, the new GS offers comfortable space for front and rear passengers. Upgraded accommodations start with the driver. The entire cabin was created around the driver and the driving experience. A horizontal-themed instrument panel emphasizes the spaciousness through its wide layout. A redesigned seat frame and changes to steering column architecture enable an improved driver seating position for increased comfort, better forward visibility and overall command of the road. Equal attention has been paid to maximizing space for rear passengers, adding headroom, legroom, knee room and improved foot space compared to the current generation GS. Door openings have also been revised for easier ingress and egress. Trunk space has been increased by almost 25 per cent, and trunk access is improved with a wider, deeper opening. Painstaking attention to detail was applied to the GS cabin as well to create a balance of luxurious and technological amenities and emotional design. The new layout of the long, sculpted dash gives the driver and front passenger a sense of roominess through its clean center stack and new, large high-resolution centre control display placed deep near the front windshield. Most of the comfort and convenience controls such as audio and climate were relocated to provide a cleaner and more sophisticated dash layout. The interior includes a number of embedded premium upgrades as standard equipment. A new energy-saving auto climate control system called S-Flow uses the occupant-detection system to focus airflow only to the front area where passengers are actually seated, a first-in-class technology. A next-generation Remote Touch with one-push confirmation is standard on all models and enables smooth, intuitive operations control. The Remote Touch allows the user to operate the climate, audio, phone controls, optional navigation system and more. The screen menus are selected with the controller, eliminating the need to reach out. Remote touch also reduces eye movement and helps users operate functions with reduced effort and distraction. A standard rear back-up camera helps add security and convenience. The finely crafted cabin detail is complemented further by ambient lighting that unobtrusively welcomes and guides the user into the vehicle, providing a carefully designed experience. New white LED lights are sequentially lit to illuminate the areas around the doors, center console and footwells. A new analog clock with LED indicators, carved from an ingot, adds a unique touch, at once both modern and traditional. Cabin materials include two types of wood specially chosen to highlight the unique flavours of the model variations. Meticulously detailed contrast stitching is used as a visual accent on the instrument panel, door trim, center console, shift knob and steering wheel to create a rich, tailored interior space. Next-generation Lexus multimedia brings a host of standard entertainment and connectivity enhancements, including enhanced Bluetooth capability with automatic phonebook download and streaming audio. GS buyers will get DVD audio and video compatibility, MP3 sound enhancement, 5.1 Surround Sound, and a high-resolution eight-inch central control display centrally located high up in the instrument panel. An SMS text-to-speech feature allows the driver to read text messages and send preset responses with a compatible smart phone. A three-month trial subscription to XM Satellite Radio is standard. The Gracenote Media management system creates dynamic music playlists and a voice recognition solution recognizes nicknames for music artists and even some mispronunciations. By adding the optional navigation system, GS owners can get an industry-first 12.3-inch, split-screen, high-resolution multi-media display. The split-screen ultra-large display enhances visibility through the use of advanced, high-definition graphics that are easy to read and easy to use. The 12.3-inch screen is large enough to support simultaneous, split-screen viewing of a large map display, plus audio, climate or other vehicle information. For audiophiles who insist on the ultimate in audio performance, an 835-watt, 17-speaker Mark Levinson audio system is available. The system provides 7.1 Surround Sound through 10 channels using a new class D Digital amplifier and luxury-first Green Edge™ speakers that are lighter, more energy-efficient and have less distortion. The new system produces almost three times as many watts per channel over the previous generation. In addition to enhanced braking systems and an impact-absorbing body structure, the new GS offers significant advances in both passive and active safety systems as standard equipment. There are a class-leading 10 airbags in the new GS, including a knee airbag for both front driver and passenger. Rear seat occupants have seat-mounted side airbags, and all four outboard occupants are equipped with side curtain airbags. New Whiplash Injury Lessening (WIL) front seats increases the likelihood that occupants will be in optimum position at the moment of impact, enhancing the protective effect of the seatbelt system. Standard seatbelts with pretensioners with force limiters used for front and outboard rear seats further assist occupant protection. Available options to help further enhance occupant safety include a pre-collision system, which uses the dynamic radar cruise control system to provide early warning of upcoming objects that might result in a collision. The system also uses a first-in-class infrared camera to monitor the driver’s eyes to check on driver status. In the event that the driver does not appear to be looking forward when a collision appears imminent, the system will initiate the warning at an earlier threshold. If the driver still does not respond and make the appropriate maneuver, the system will initiate braking intervention up to two seconds prior to impact, helping to lessen the severity of the collision. Other available safety systems include a Night Vision System that enhances driver visibility at night; Heads Up Display (HUD) and a Blind Spot Monitor that helps detect vehicles in rear/side blind spots. “With class-leading 10 airbags, a more spacious interior and a radiantly polished finish, the new GS 350 will lead the Lexus brand into the heart of the mid-luxury segment” said Larry Hutchinson, Director of Lexus in Canada.